Welcome to California condo living at its best! This recently renovated condo features everything you need for a relaxing holiday in one of San Diego’s most desirable neighborhoods – Bird Rock. Located in an exclusive boutique building, it’s just steps away from restaurants, bars, shopping, fitness and the famous La Jolla beaches. The open-concept living/dining area features an oversized couch, tv, and table for four. The master bedroom is equipped with a king size bed, ample closet space, and a bathroom that includes a walk-in shower and bathtub. The second bedroom also has a king size bed and plenty of closet space. The second washroom features a walk-in shower. Basics such as internet, cable and wireless speakers are also included. Be sure to ask us about anything you might need to plan the perfect trip. We want to make your stay in San Diego unforgettable! The ease of parking, the elevator to the apartment door, the striking decor and very comfortable surroundings, the afternoon sun streaming into the living area and the timely attention from the owners to answer questions, could not have been better. The location was wonderful! I love Bird Rock. Lots of great food, the ocean and dramatic views 2 blocks away, interesting shopping and spas close by. I walked to most, and the car stayed parked. I have rented several places over the past two years in La Jolla, and for me, this is my favorite. I will come back here again. Thank you Ashley and Brad. I have to begin by saying that the Bird Rock area of La Jolla is wonderful! Not only does the neighborhood have everything you need within walking distance, but every street has a dazzling ocean view for sunset viewing or just for watching the ocean waves and feeling the ocean breezes. We rented this condo for the months of July and August, so we were really hoping to find a place that felt like a home away from home, something cozy. Unfortunately, this place didn’t fit that bill. When you’re away from home for 2 months, you need storage. While there’s ample closet space, neither bedroom had any storage shelves or dressers, so we couldn’t really unpack fully. While the beds are comfortable enough, I would recommend new pillows or bring your own (we did thank goodness). We knew going in that the condo was not air-conditioned and we weren’t really concerned because, this is La Jolla after all and we were a block off the beach. Unfortunately, La Jolla was hit with a heat wave for 6 of our 8 weeks and the condo was stifling and uncomfortable. Luckily, there are ceiling fans, but it was still hot, even at night. I should also mention that since the condo is in a business district, which was very convenient, it does come with lots of noise: garbage trucks, delivery trucks, etc. I’m not going to say anything really negative; however the decor is more Coco (if you’ve seen the movie you’ll know what I mean) or Dia de los Muertos. There was nothing beachy about it. Ashley was very responsive when we needed to communicate. We loved the area, the condo and noisiness not so much. Sorry to read about your disappointment. We would have been happy to address concerns that we could resolve had we heard of them sooner. We appreciate the feedback and will be getting new pillows and additional storage space. We are completing our stay today and enjoyed it a great deal. The condo is exactly as advertised. It is spacious, clean and well maintained. The location is convenient and out of the hubub of the village. Only one issue marred our visit. Summer visitors should be aware that the unit has no air conditioning and no ceiling fans. Sleeping was uncomfortable as street noise discouraged keeping the windows open. I would recommend the owners install ceiling fans. That should do the trick. This 2 bedroom condo was wonderful! Close to grocery shopping, drug stores, eateries, and shopping, but most importantly THE OCEAN!!!!!!!!!!! We could stand in the middle of the street it is on and see the ocean just 2 short blocks away. Every block in the neighborhood has beach access or overlook. The condo was modern, with touches of old San Diego's history. Beds were VERY comfortable, kitchen very adequate (previous renters even left us some of their usable beverages/comdiments) as we did for those after us. It was impeccably clean! And because it is in the same building as a coffee shop, we could awake to the aroma of coffee! The owners are very responsive when you have questions or concerns. We will definitely rent this condo again! This two bedroom condo was perfect. The unit was clean and welcoming. The location was fantastic! We walked everywhere. The unit was a little short on towels and kitchen linens, however when I emailed about that, the manager was going to restock. The unit could use a couple of clocks in the bedrooms as well. As all appliances were new, I do not hesitate giving this rental 5 stars! 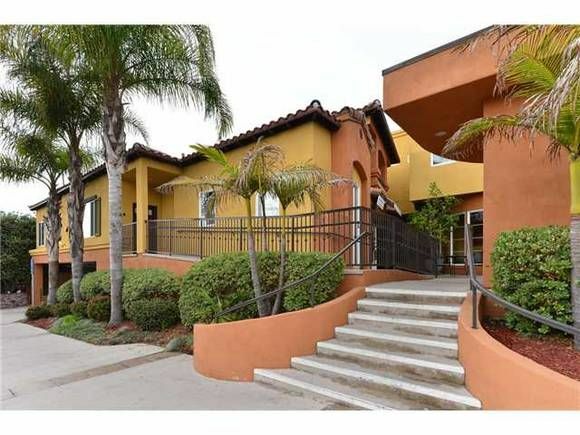 Beautiful , well appointed condo within easy walking distance of eateries, shops, and the ocean. We absolutely loved our stay and hope to enjoy this condo again. We fell in love with the Bird Rock area -- hated to have to leave ! Hardly any need to get into your car! This unit is located steps away from a Starbucks, and several other coffee shops, and restaurants. Shopping, fitness, and the beach are also minutes away!